1910 Rebuild after the 1909 fire. Building right of P.O. burned in the 1917 fire. 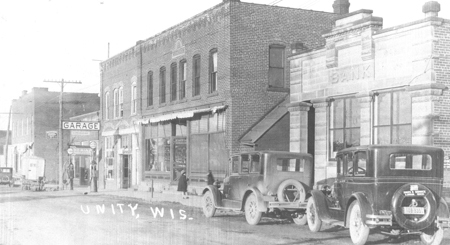 Looking north along Madison Street, Unity, Wis.
Creed Bros. Mercantile center distance. Smoke from mill far center. 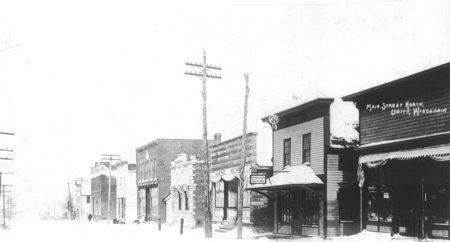 Herman Kops Forest Saloon and Hotel Built in 1909 after the January 1909 fire. Far left is the horse barn for the hotel. Extreme left is probably the jail house. 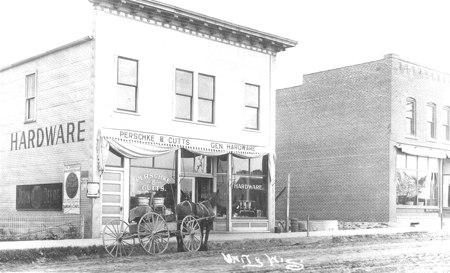 Right is Perschke & Cutts General Hardware Store. 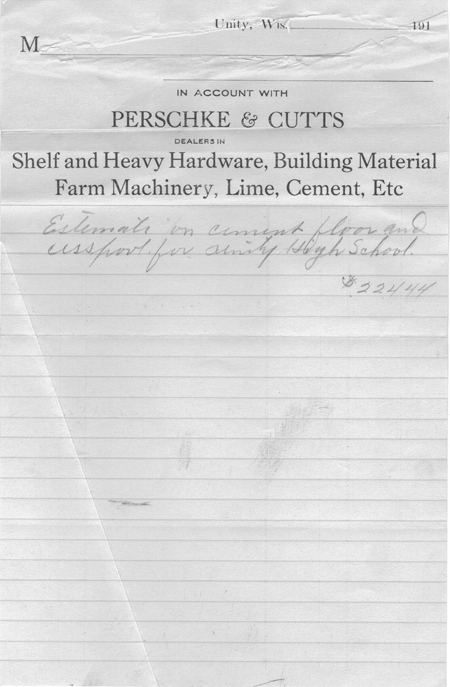 Perschke & Cutts General Hardware. Built following the 1909 fire. John Deere sign on left side of store. 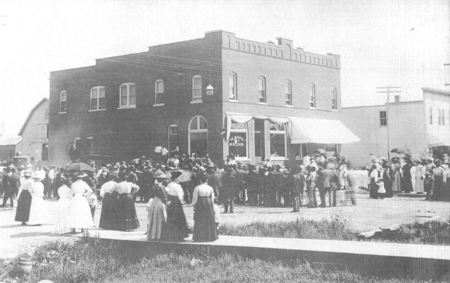 Right building is the Peter Fritz Unity Mercantile Store built in 1909. 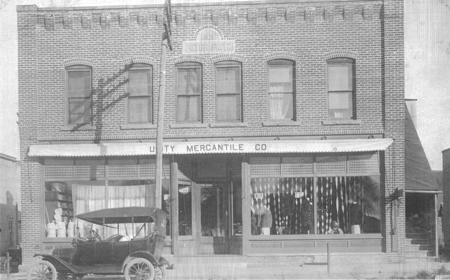 Unity Mercantile Co. Peter Fritz. 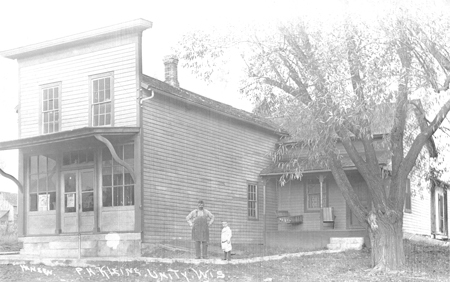 Built 1909. Model T in foreground late teens or early 1920's.